A new kind of drugs named «PCSK9 inhibitors» (1) may represent a qualitative leap in the normalization of elevated cholesterol levels, mainly when cholesterol is being transported by LDL (Low Density Lipoproteins). Elevated levels of LDL in the plasma are a risk factor in the development of diseases resulting from atherosclerosis. This novel strategy for lowering the cholesterol levels associated with low density lipoprotein (LDL) was presented at a scientific meeting held in Los Angeles, California, United States, on November 5, 2012. The two potential new drugs, monoclonal antibodies (2), are evolocumab (3)developed by Amgen, and alirocumab (4), jointly developed by Sanofi Aventis and Regeneron Pharmaceuticals. Preliminary findings from studies presented at the annual symposium of the American College of Cardiology, and released (online) in the New England Journal of Medicine, show that these drugs are more efficient than «inhibitors of the enzyme 3-hydroxy-3-methylglutaryl-CoA-reductase» (statins), today the most prescribed drugs for lowering high levels of cholesterol. The current studies, with only a limited number of participants, sponsored by the manufacturers of the drugs, have revealed that both drugs not only reduce LDL levels, but also achieve a reduction of approximately 50% in the incidence of cardiovascular events. However, these studies have been conducted more to assess the safety of these new drugs than to evaluate their long-term cardiovascular effects. To achieve statistically significant results in the reduction of the risk of heart attacks, large multicentre studies will have to be carried out, and the conclusions are not expected before 2017. There are two concerns about these drugs: they diminish cholesterol levels more than had ever been seen before, and in a hitherto unknown way; and secondly, suspicions (and even hard evidence for some researchers) have been reported that these drugs could lead to memory loss. Evolocumab and alirocumab achieve reductions of up to 60% in LDL concentrations, sometimes from 120mg/dl to 50mg/dl. These reductions are even achieved in patients who had already obtained substantial reductions in LDL levels when treated with statins. It is expected that the Food and Drug Administration will approve both drugs next summer (2015). Analysts forecast profits of billions of dollars. Patients eligible for these new drugs are those who are either intolerant, or refractory, to treatment with «inhibitors of the enzyme 3-hydroxy-3-methylglutaryl-CoA reductase». 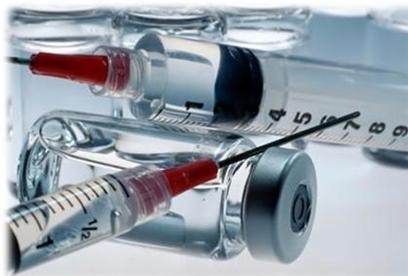 Evolocumab and arilocumab have to be injected into patients every two to three weeks. The aim of only lowering LDL could be a mistake. Instead, the ultimate objective should be to reduce the incidence of cardiovascular events. However, statins were approved solely on their ability to reduce LDL levels. Note the case of niacin (5), which favourably modifies the lipid pattern in blood without decreasing the incidence of heart attacks and strokes. These results may be an argument for health managers to reject the overall funding for “PCSK9 inhibitors”, because the annual cost of treatment with these drugs will range from $7,000 to $ 12,000. According to the Health Affair blog (6), pharmacy management systems could easily be compromised by their inability to cope with the high cost of the indiscriminate prescription of these new drugs. A clinical study using Amgen’s evolocumab included 4,465 patients with varying degrees of cardiovascular risk. Two out of three participants were randomly selected to be treated with this monoclonal antibody, in addition to the treatment already established for them. After a year, 0.95% of the patients in this group had suffered a heart attack, stroke or other cardiovascular events, compared with 2.18% of the control group. So, the hazard ratio for the risk of cardiovascular events was reduced by 53%. A clinical trial using alirocumab, included 2,341 patients. After 36 months, the incidence of cardiovascular events was 1.7% in the study arm compared with 3.3% in the control group. The reduction of cardiovascular risk (hazard ratio) was 48%. According to some experts, including Sanjay Kaul, a cardiologist at Cedars-Sinai Medical Centre in Los Angeles, California, the results of the first clinical trials of the above drugs are not sufficiently compelling to justify their indiscriminate use. A more restrictive criterion was used in the alirocumab clinical trial compared to the evolocumab assay. If a different conceptual standpoint had been employed in the alirocumab trial, it would have failed to demonstrate a statistically significant reduction in cardiovascular events. But not even the evolocumab study was particularly strict: there was no placebo group, so the study was not "double-blind”. This circumstance produced a favourable bias towards the drug. Marc S. Sabatine, a cardiologist at Brigham & Women's Hospital, and principal investigator in the evolocumab study, said that two observations back up the favourable results of these studies: on one hand, the percentage of cardiovascular risk reductions achieved with both drugs were statistically similar; and the other observation was that spontaneous genetic mutations that lead to very low levels of PCSK9 (7) are associated with a residual risk of heart attacks. 1. López-Tricas, JM. Nueva clase de fármacos para reducir el colesterol. European Journal of Clinical Pharmacy 2012; 14(6): 388-390. 2. López-Tricas, JM. Anticuerpos monoclonales, año 1979. In: http://www.info-farmacia.com/historia/anticuerpos-monoclonales-ano-1979. Web page: www.info-farmacia.com. Consult: march 2015. 3. Sabatine MS, et al. Efficacy and Safety of Evolocumab inn Reducing Lipids and Cardiovascular Events. New Engl J Med. March 19, 2015 (published on line). 4. López-Tricas, JM. Esperanzadores resultados del alirocumab. In: http://www.info-farmacia.com/medico-farmaceuticos/informes-tecnicos/arilocumab-prometedores-resultados-de-un-ensayo-clinico. 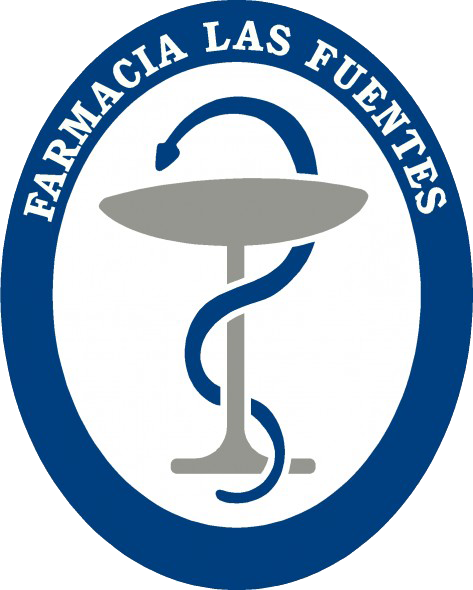 Web page:www.info-farmacia.com. Consult: march 2015. 5. López-Tricas, JM. Niacina (ácido nicotínico), reflexiones acerca de su uso como fármaco. In: http://www.info-farmacia.com/medico-farmaceuticos/informes-tecnicos/niacina-reconsideraciones-acerca-de-su-empleo-para-la-hipertrigliceridemia. Web page: www.info-farmacia.com. Consult: march 2015. 6. In The Debate about Cost and Efficacy, PCSK9 inhibitors May Be the Biggest Challenge Yet. In:http://healthaffairs.org/blog/2015/02/17/in-the-debate-about-cost-and-efficacy-pcsk9-inhibitors-may-be-the-biggest-challenge-yet/. Health Affair Blog. Consult: march 2015. 7. López-Tricas, JM. Buscando (y encontrando) una aguja en un pajar. In: http://www.info-farmacia.com/medico-farmaceuticos/revisiones-farmaceuticas/buscando-y-encontrando-una-aguja-en-un-pajar. Web page:www.info-farmacia.com. Consult: march 2015.